Selfless volunteers in Stockland Green will this week launch a community led project to reduce loneliness and isolation in and around the Erdington area. ‘The Ambrosia project’ is the culmination of many months of effort and planning by members of Marsh Hill Allotments Association, the Erdington Asian Women’s Society, and the Midlands Greek Centre and will see the trio pool their respective talents to deliver a caring, practical, and unique response to the issue of loneliness. 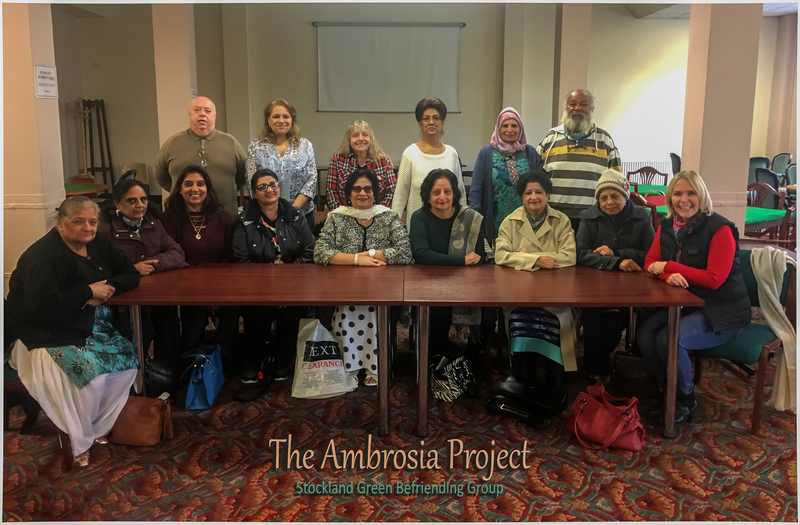 Named after the food of Gods, The Ambrosia Project will see the Erdington Asian Women’s Society telephone local people in need of a friendly ear. Over time, people will be encouraged to join others on either the newly created accessible gardening plots at Marsh Hill Allotments site or, if they’re not particularly green fingered, pop along to the regular lunch clubs hosted by the Midland Greek Centre. Loneliness is such a crushing sensation that without something tangible and specific, people often struggle to escape it. The Ambrosia Project is a gentle response to the crippling effects of loneliness. We thought how bizarre it was that local people should experience such personal emptiness despite living in a busy neighbourhood. Luckily, we have been able to work with two like-minded community groups and by pooling our resources and assets, bring about a local solution to this national epidemic. All of those involved in bringing the project to life are volunteers and costs have been supported by The Big Lottery. Stockland Green Opportunity Housing and Training, part of The Pioneer Group, supports the Ward Advisory Board and other community led projects in Stockland Green. Once again, members of Stockland Green’s Ward Advisory Board have proven themselves to be informed, compassionate and selfless, giving their time, expertise and energy to bring about something for the greater good. It is humbling to be part of such a generous local spirit.